From Highway 43: Exit Mitchell Street. Turn Right on to 9th Street. We will be located on the left-hand side, same building as the Milwaukee Public Library. Copyright © 2019. 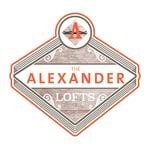 The Alexander Lofts. All rights reserved.